EARLY BIRD PRICING ENDS ON JULY 31st! We are excited about the upcoming DCBX event! We have some great entertainment lined up through our multiple stages, ballrooms, and special event areas around the festival! We love your interest in being a part of this year’s event and hope you will find our new online sign up a breeze! Some things you should know before we begin. 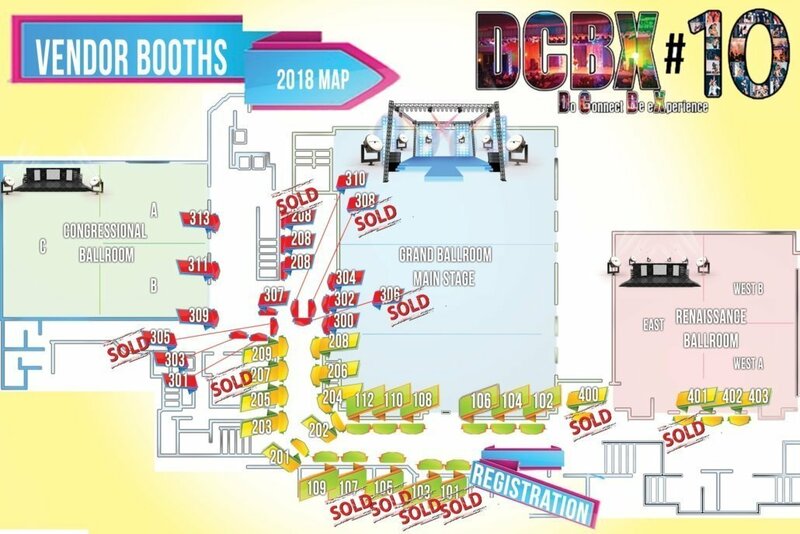 Due to limited space and an overwhelming number of vendors wanting space at the DCBX live events, we will be taking applications and booth placement on a first come basis. Vendors are expected to be open on Thursday by 7pm and stay until the Sunday at 5pm. – DC Sales Tax Certificate as required by DC Gov. – Booth Contract & Payment for Booth. – Vendors can not sell water, sodas, alcohol or food. Sampling may be allowed and must be approved with DCBX. – Load in: Set up Thursday from 2pm – 7:00 pm. Load out: Clean up and breakdown will be 5pm-10pm on Sunday. For large installations only: If you need access to the loading dock, please coordinate with vendors@dcbx.org for approval and scheduling. – Parking is metered around the venue. We also highly recommend City Center Parking one block from venue. STEP 1: Submit your online application below! STEP 2: Shortly after you submit, a representative will contact you with the available booth numbers. Once the vendor booth number is confirmed, a DCBX official Contract will be sent for electronic signature for acceptance and with the appropriate payment link. STEP 3: Sign and Pay for your booth at the SAME TIME! Submit one form per booth/sponsorship. Download official Logos, maps, and info here. DON’T DELAY! A LIMITED AMOUNT OF BOOTHS/SPONSORSHIPS ARE AVAILABLE!